Routine Traffic Stop Renders Felony Possession, LIVINGSTON, December 23, 2014 - At approximately 9:17 pm on December 22, 2014, Livingston Police conducted traffic stop on a 1986 Chevy Camaro for a traffic violation on US-59 South. The vehicle was being driven by Virginia Marie Tischler, 40, of Shepherd. When police spoke to Tischler, they observed that she avoided eye contact and was acting extremely nervous. 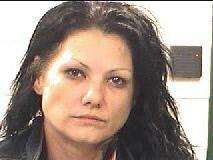 Due to Tischler's suspicious behavior, officers asked to search her vehicle and she gave consent. Police found a crystal like substance. The officers tested the substance and it proved to be methamphetamine. 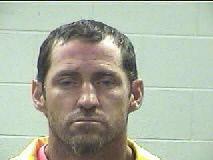 Tischler had two passengers, Shawn Steven Obannon, 40, of Livingston, and Kevin Wayne Cannady, 27, of Livingston. 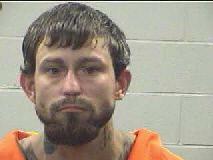 All three were placed under arrest for possession of a controlled substance (felony). During the investigation, it was found that Kevin Cannady had provided a fictitious and date of birth. As it turns out, Cannady was wanted on multiple felony warrants. As the investigation continued, Cannady was found to have another controlled substance on his person.